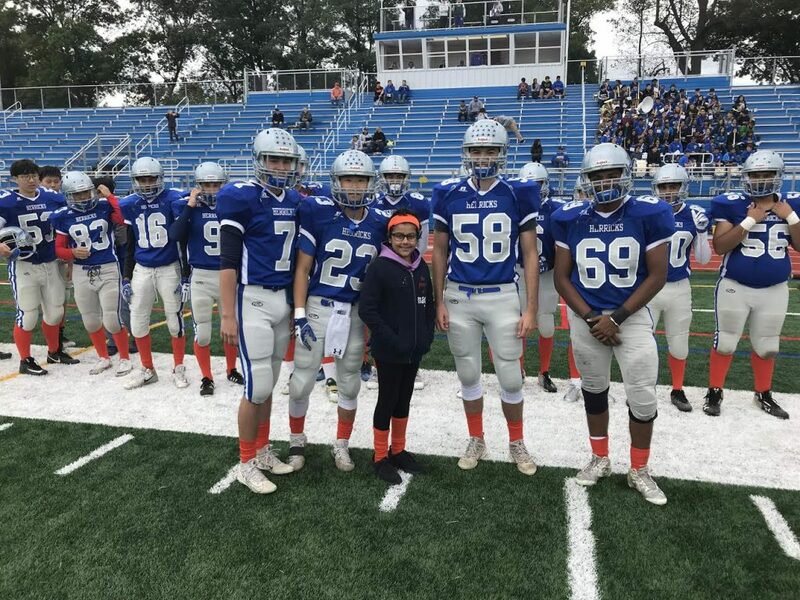 Herricks Football and Youth Against Cancer joined together to battle Leukemia. Together they raised $1,809 for Memorial Sloan Kettering’s Pediatric Cancer Division. 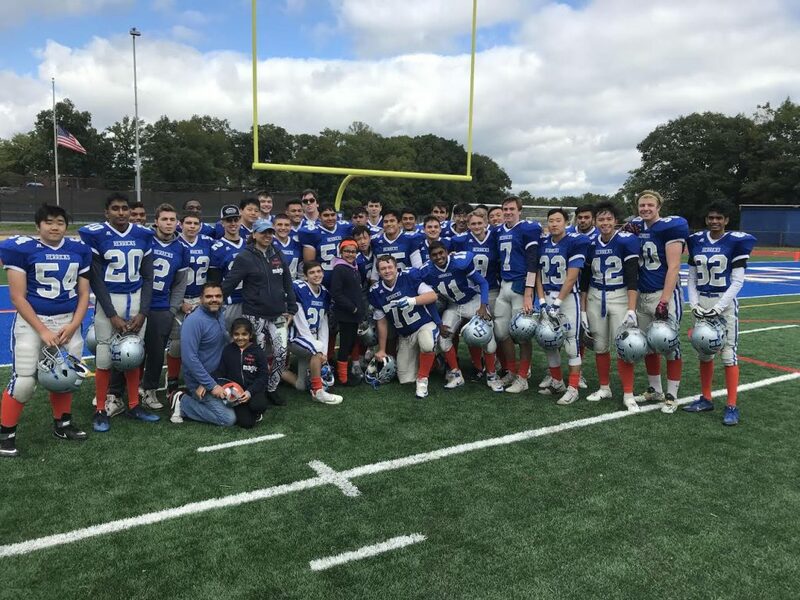 The event, Herricks Tackles Leukemia, took place at the home football game versus MacArthur High School on Saturday, Oct. 13. The students sold orange bracelets throughout the week, Youth Against Cancer ran a bake sale and the Herricks Athletic Boosters donated all of their concession stand money to support the cause. 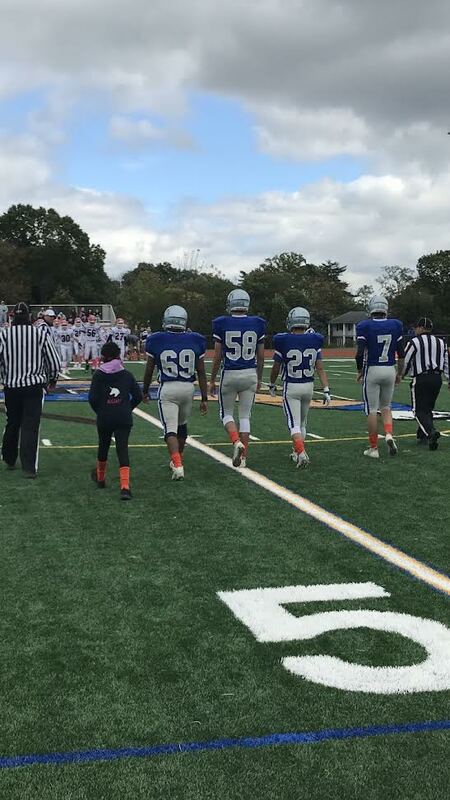 Searingtown student Anjali Kumar served as an honorary captain for the game. The collaborative effort was a great success!